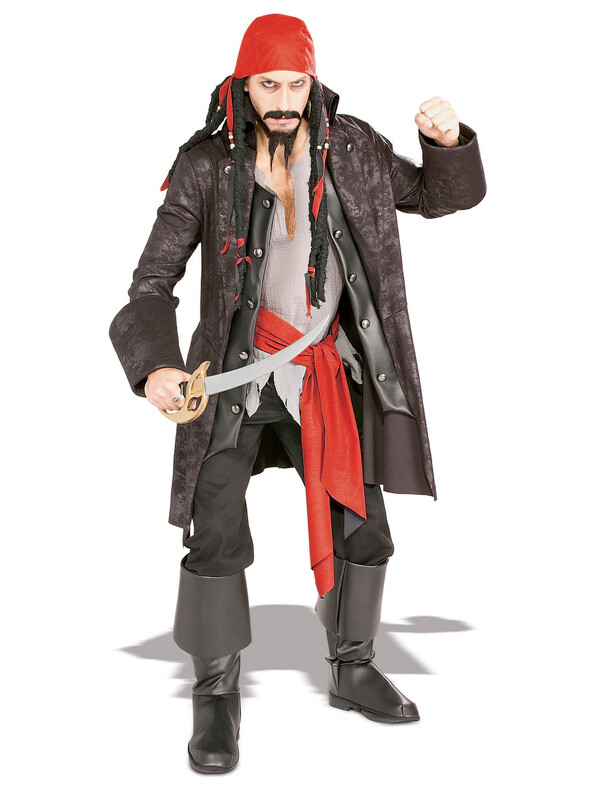 When you’re living for a life on the high seas, you’ve got to look the part, and our Men’s Cutthroat Captain Costume is the ultimate way to establish your authority among a band of thieves and liars! Don the ragged but elegant clothes of a seven seas captain as you bark orders at your crew and drink plenty of rum this season. Explore the latest party looking for plenty of fresh booty or spend time with your crewmates as you plan your next big attack. Pair up our fantastic costume with a sword or pistol for a complete pirate. Our Men’s Cutthroat Captain Costume will get you ready for whatever the season throws at you, except maybe for scurvy.